Thinking about a beauty boost? Wish you could soften wrinkles over your brow, or around your eyes, and rejuvenate how your face looks? 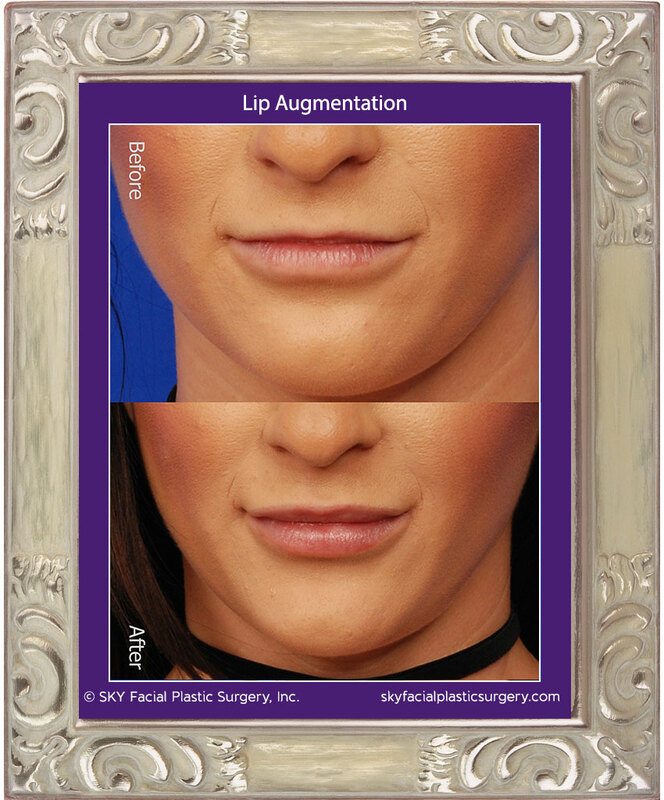 Juvederm was used to provide fullness, increased red show and fill the fine radial lines of the upper and lower lips. 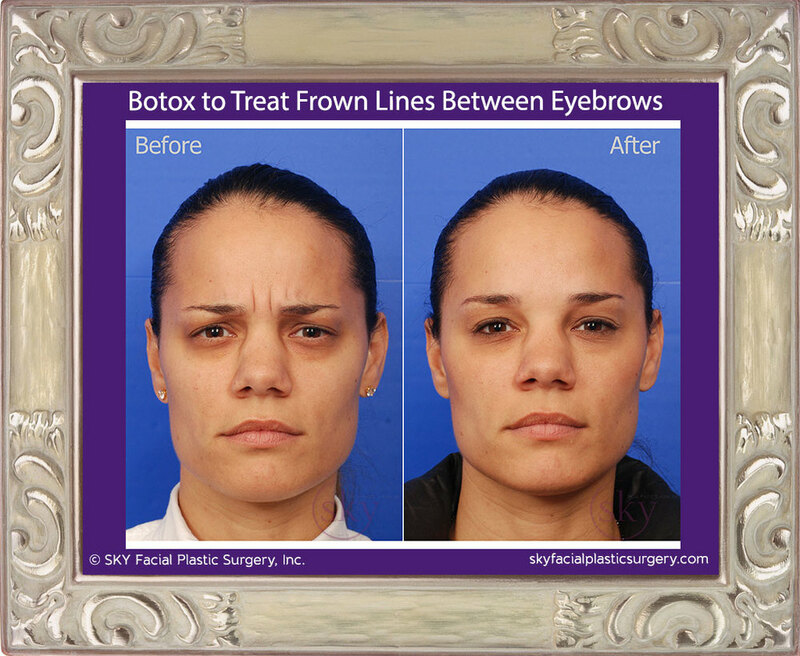 Botox was used to get rid of the glabellar (frown) lines. Belotera was used to fill the tear trough. 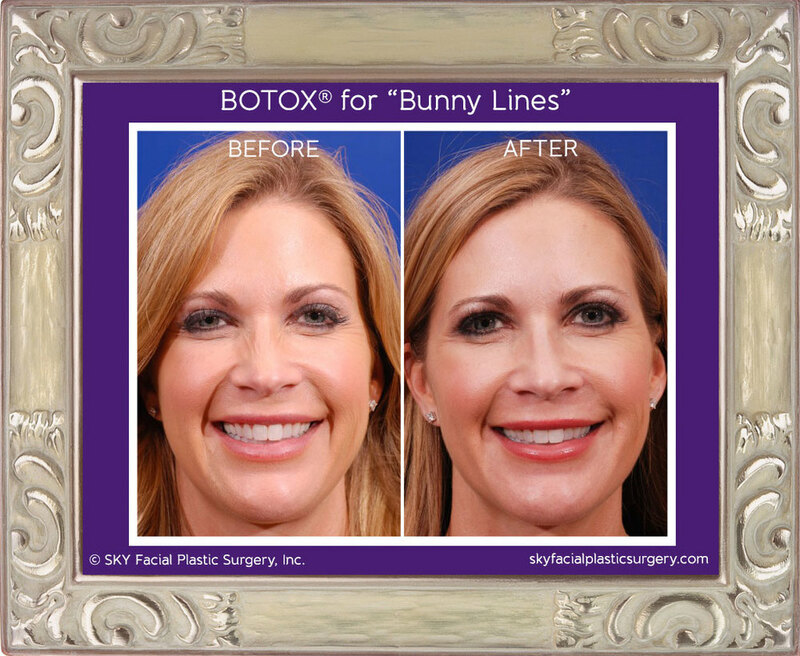 Botox to treat "Bunny Lines"
Botox was used to treat nasalis wrinkling. 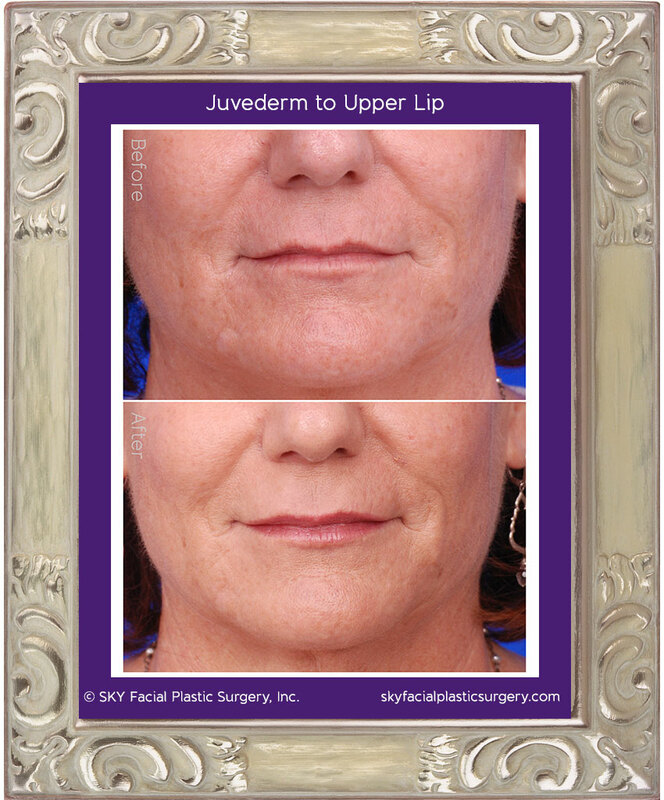 Juvederm was used to treat the wrinkles of the melolabial (nasolabial) folds. This patient wanted to be proactive and prevent forehead wrinkles before they became established. 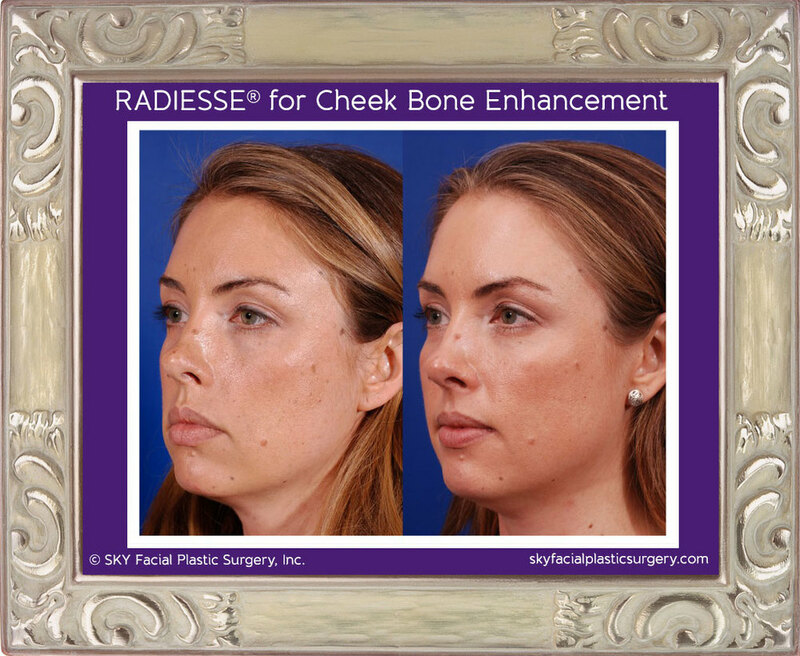 Subtle, but noticeable improvement in the projection of the cheek bones was accomplished with a singe syringe of Radiesse. In this photo, it is more apparent in the right (far) cheek because of the angle. 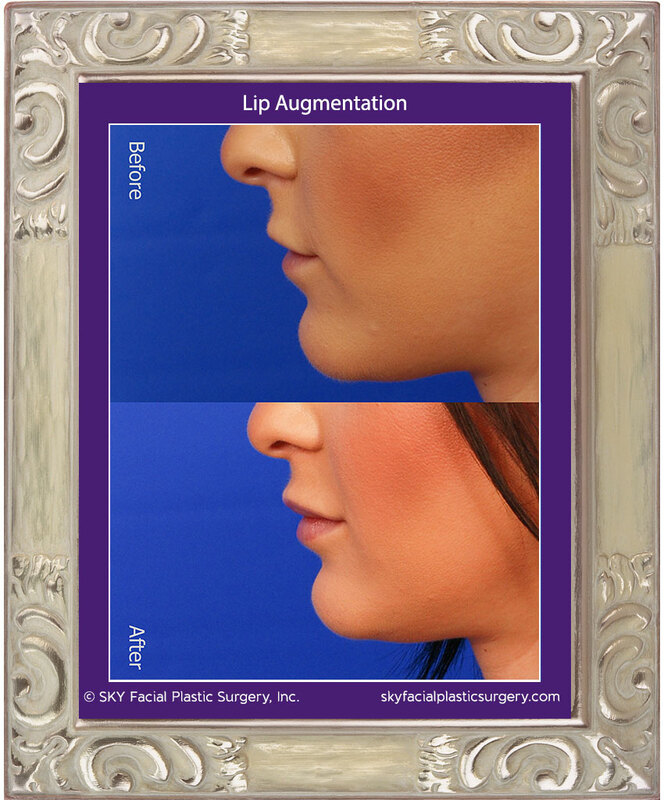 One syringe of Juvederm was used to give this patient a increased volume to her upper lip and more "red show" with a very natural appearing result. 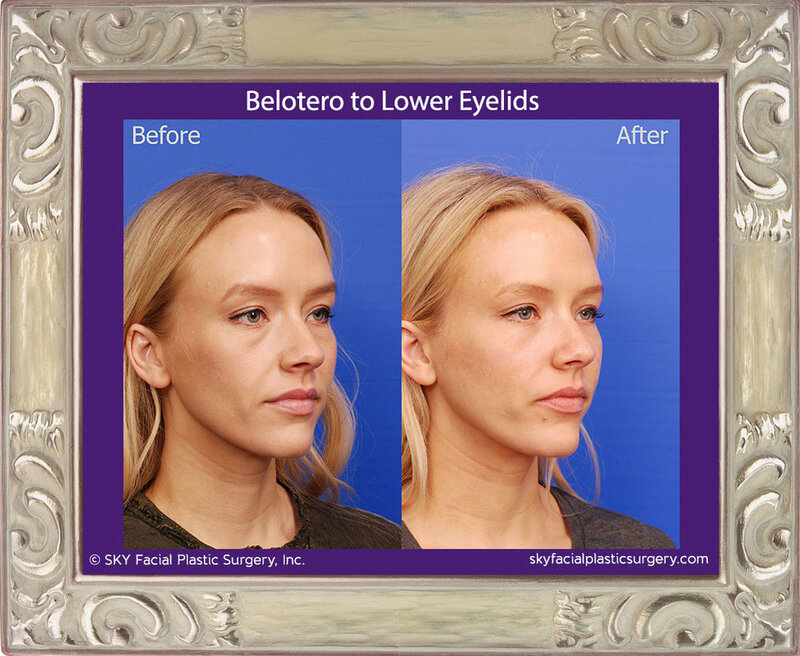 Belotera is used to fill in the hollow of the lower eyelid tear trough and restore a more youthful contour. 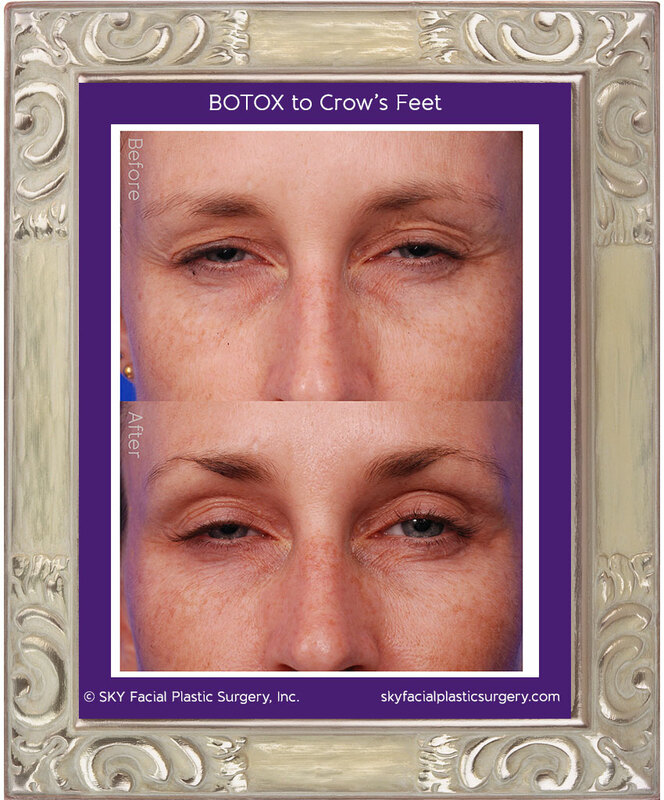 In selected cases, Botox can be used to provide improved facial symmetry. 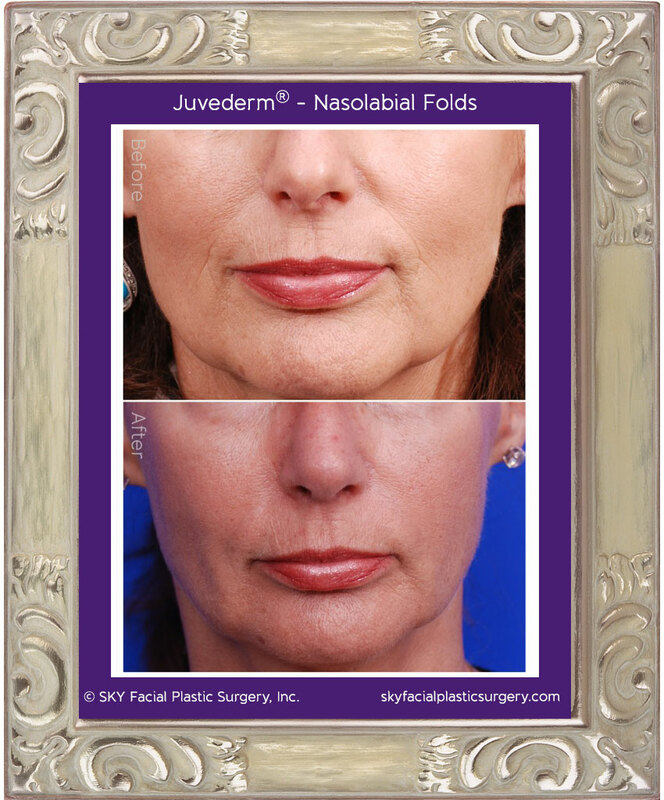 Juvederm works well and yields natural results in the nasolabial folds. 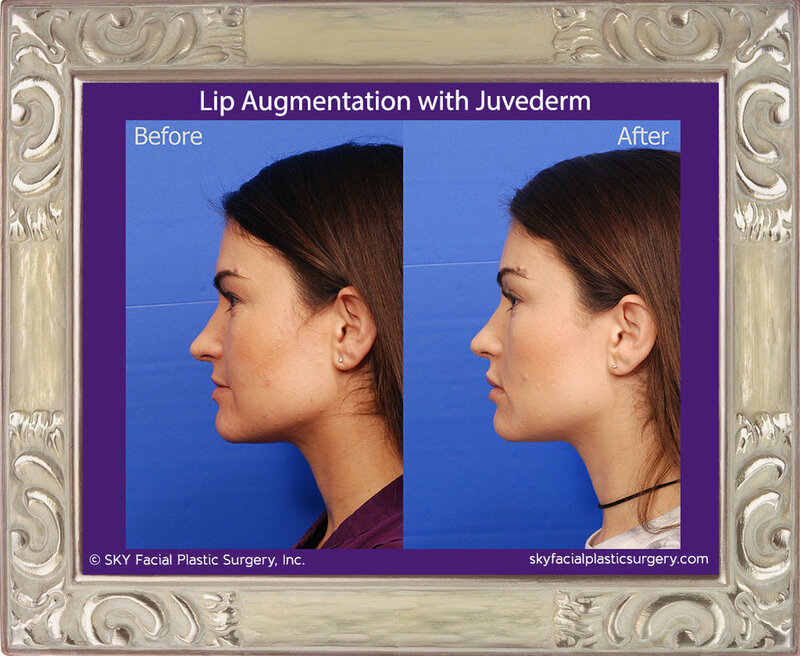 Juvederm can be used to restore volume to the lips and diminish the fine wrinkles the form from our natural aging process. Fillers and injectables are great options for hiding wrinkles and addressing volume loss, two of the biggest signs of aging. Injectables can also PREVENT wrinkles and fillers can add definition, such as higher cheekbones. Treatments can be done in one visit and, thanks for special techniques used by Dr. Yoo, patients experience minimal to no bruising. Using our breathable concealer by Oxygenetix, you can go on with your day with no one the wiser. Best of all, results look NATURAL. Our patients often tell us that friends and family say they look "refreshed" or exclaim, "You look fabulous! Did you do something different with your hair?" That's the best compliment of all. You are the one who will notice a dramatic difference, because you look at yourself in the mirror everyday! Technique matters. 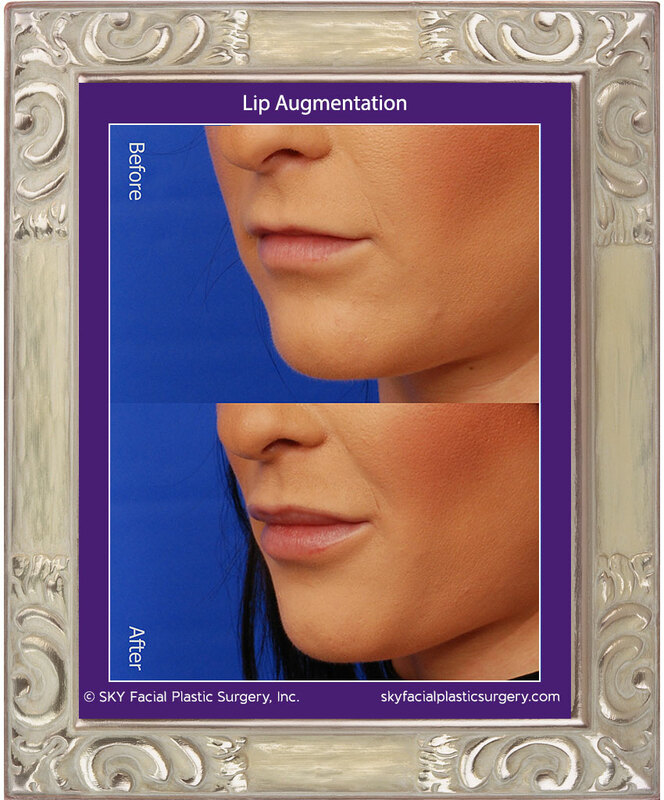 We love converting visitors who have never tried injectables or who are "afraid of needles" into repeat patients. Dr. Yoo uses special techniques that make treatments virtually painless and our spa-like environment and friendly team of professionals put even the most anxious at ease. All injections at SKY are performed by our double-board-certified facial plastic surgeon, Dr. Yoo—one of only six surgeons in the city of San Diego board-certified by the American Board of Facial Plastics and Reconstructive Surgery. Dr. Yoo is also the only physician in San Diego County to complete the prestigious facial plastic and reconstructive surgery fellowship under Dr. Sam Most at Stanford University. If you are thinking about getting a treatment, or are even just curious to learn more, we encourage you to schedule a consultation with Dr. Yoo. In the meantime, you may enjoy reading the Diary of a New Patient: Botox Treatment. Botox and Xeomin - Provides controlled weakening of the muscles that form wrinkles. May also be used as a preventative measure to keep wrinkles from forming. Belotero – Fills fine lines around the lips and eyes. Juvéderm XC Ultra - Plumps up lips and cheeks; fills heavy lines around the mouth and nose; reduces the appearance of tired eyes. 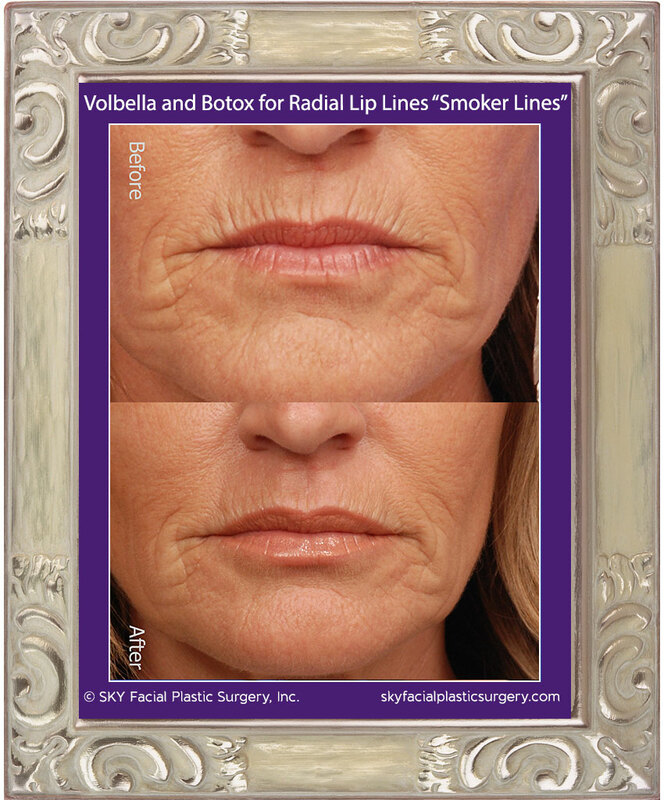 Juvéderm Volbella XC - Increases lip fullness and lasts up to a year! Radiesse – Provides facial volume where needed; fills deeper, more established wrinkles. Sculptra Aesthetic - Replaces lost collagen; helps correct deep facial wrinkles and folds. Our prices are based on how many units or syringes you need. But there are 3 very important factors that you as the patient should consider when evaluating pricing. An estimate will be provided at your consultation, after Dr. Yoo has had the opportunity to discuss your desired results and assessed your unique facial anatomy. We value who you are as an individual, and do our utmost to ensure that you’re delighted not only with the results, but with your entire experience with us—from start to finish. Want to meet with us to discuss your unique needs? Schedule a consultation with Dr. Yoo. Call (858) 381-4801 today.